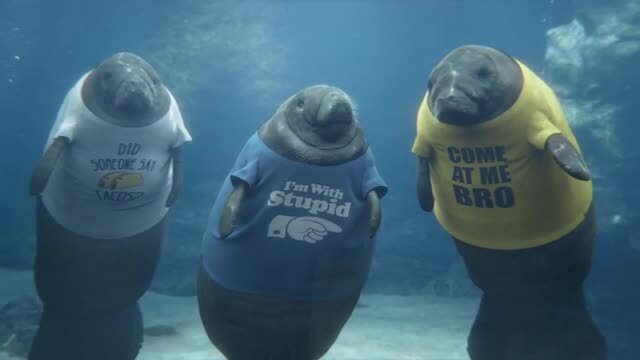 A family discovers that manatees at the aquarium happen to share a peculiar fashion sense--they’re all wearing novelty t-shirts. While that may be surprising, saving money with GEICO insurance is hardly a surprise. By the way, the manatees in this spot were all CGI created by The Mill NY.